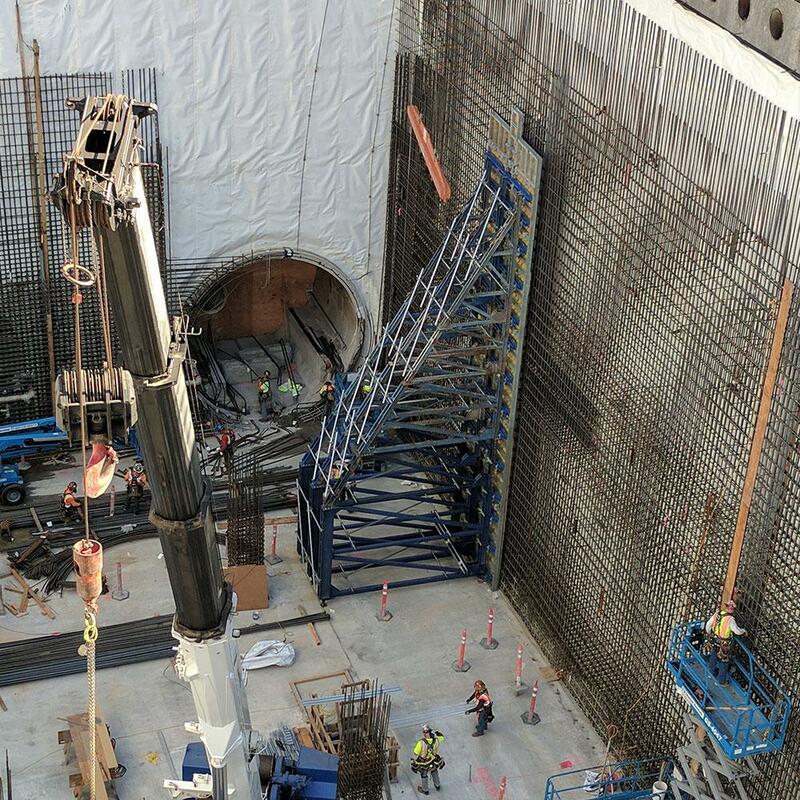 The Northgate Link Extension is a 4.3-mile light rail project designed to provide fast, reliable transit through a highly congested area of Seattle. Part of the project is to develop the Roosevelt Station to serve the surrounding neighborhoods and the Roosevelt business district, including Roosevelt Square. By the year 2030, Sound Transit expects approximately 8,000 people a day to board the light rail at Roosevelt Station. 1-week cycle for advancing and hitting schedule. Very tall form height required innovative engineering to ensure safe construction. Customized requirements for construction joints. Quantity of Framax units with A-frames allowed for pre-assembled sections to fly easily from one pour to the next. 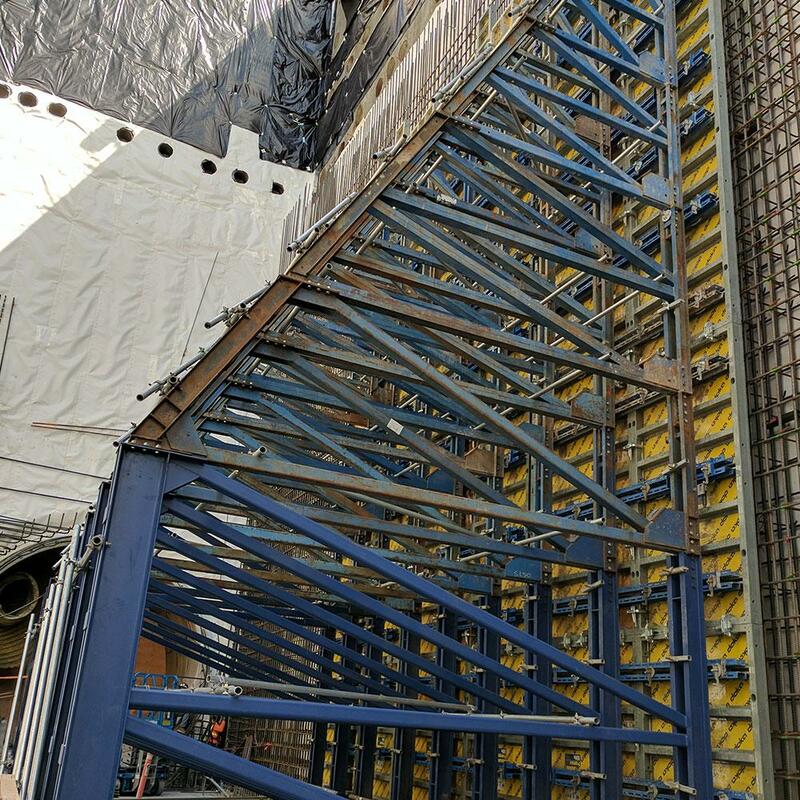 When customer requested additional walkway level midway between 42' A Frames, Doka created walkway solution with standard tubular parts. Large central pilaster areas were set up as pre-assembled sections for ease of shifting on-site. Concrete area approx 97,200 sq-ft.
Formwork area provided approx 5,300 sq-ft. Thank you for your interest - Roosevelt Station. Thank you very much for your interest - Roosevelt Station.